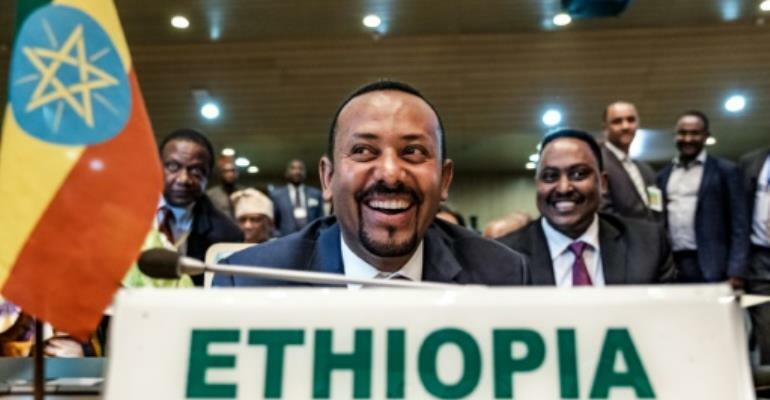 In his first speech as Ethiopian prime minister last April, Abiy Ahmed called for an end to the repressive, exclusionary governance that had plunged the country into turmoil. "Before Abiy came, our fear was that Ethiopia would descend into civil war," said Hassen Hussein, a top official in the Oromo Democratic Front, one of the many banned groups welcomed back from exile. Yet the new prime minister's first year in office has also been marked by a surge in ethnic violence that has forced 1.8 million people out of their homes. While Abiy has remade the public face of the ruling omnipotent Ethiopian People's Revolutionary Democratic Front (EPRDF), diplomats and politicians say politics remains very much as usual at the local level. "Many people, especially at the grassroots level, are asking, where is the change?" said Merera Gudina, a top opposition politician. "Both the depth and pace of change... people are really doubting." A former science minister, Abiy comes from the Oromo people, Ethiopia's largest ethnic group. He rose up through the military and intelligence services, reaching the rank of lieutenant colonel. "For the first time in the country's history, he is negotiating with the opposition," said Merera, who was jailed under Hailemariam, then released on the eve of his resignation. But Merera worries whether the four parties that make up the EPRDF -- and especially the old guard from the Tigrayan minority that dominated the coalition until Abiy's rise -- really support him. "We are not sure the degree to which the EPRDF is committed," he said. "The ruling party is the ruling party; the cadres are the same, the service delivery is the same," Merera said. Those who have met the prime minister worry over his tendency to show off his accomplishments while revealing little about his plans to tackle the country's challenges. "It's a one-man show... it's not a functional government," one foreign diplomat told AFP, adding that among embassies, "a few eyebrows are now rising." Shortly after Abiy took office, a long-running dispute over land in southern Ethiopia's West Guji and Gedeo zones erupted into ethnic fighting that forced nearly a million people from their homes. Such violence continued through Abiy's first year. Abiy has touted his moves to improve media freedom -- following in the footsteps of Hailemariam, who released several prominent jailed journalists -- but instability threatens this progress. "I considered it not only an attack on the media, but on the reform," he said, adding that he does not blame the prime minister for the assault. In a sign of the country's apparent precariousness, officials in March postponed a national census, which was seen as a precursor to next year's vote. "Damned if you do, damned if you don't," Hassen said of the elections. "With the level of polarisation that exists now, I'm not sure an election would do any good for Ethiopia and Ethiopians."